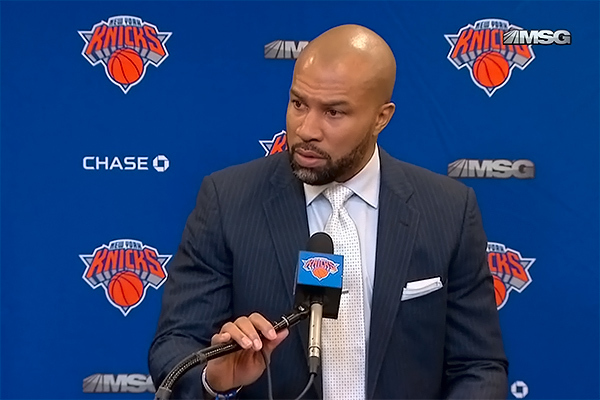 New York Knicks head-coach, Derek Fisher has been relieved of coaching duties, a report from the official website states. As Knicks head-coach, Fisher went 40-96 and this season his team stands at 23-31. The Knicks reached last afternoon their first 5 game losing streak of the season and they are 1-9 in the last 10 games, the single win being at home against the Phoenix Suns, and are getting further away from the playoff race. A former Laker and student of Phil Jackson, Fisher was acquired in 2014 and singed a $25 million, 5 years deal. Until future announcements, Kurt Rambis will serve as interim coach.